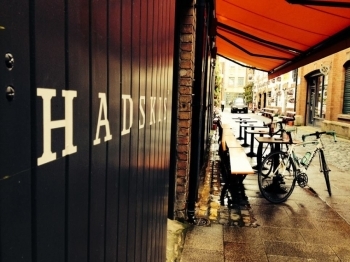 Set in the heart of Belfast’s Cathedral Quarter, Hadskis Restaurant has been borne out of one man’s love for cooking #greatfoodeveryday, and another man’s love for making pots and pans. Nestled between Hill Street and Donegall Street, this Belfast City Centre location combines an eclectic little dining room with a great kitchen counter, to bring you a stunning range of delicious food. Mixing classic European dishes with an ever changing menu of daily specials, our Hadskis Restaurant team will give you a friendly welcome and efficient service, adding to the already vibrant dining scene of Cathedral Quarter, Belfast. Our produce is locally sourced, combining the best of classic Northern Ireland cuisine with a great range of European wines by the glass, carafe and bottle, along with an extensive spirits list.